In a live BBC broadcast from inside North Korea, viewers noticed something strange about the missiles on parade during Kim Jong-Un’s military muscle-flexing. Amid global tensions regarding nuclear weapons of war, the hawk-eyed civilian detectives thought the missile cases on display looked a little unconvincing. BBC reporter John Sudworth stands in front of the parade in the North Korean capital of Pyongyang in a rare broadcast from the notoriously private state. 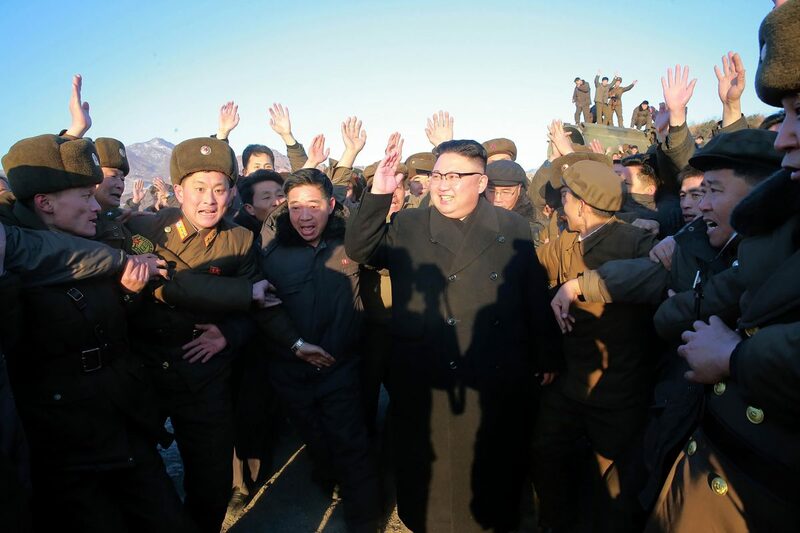 Kim Jong-un invited the world’s media to the parade to display his supposed military might. But some observers feel less than threatened by the dictator’s arsenal of weapons, claiming they look fake. So funny that in the tightly controlled BBC footage from North Korea the missiles are obviously fake. You can see one is bent upwards. It must be said, these observers are by no means military experts. One source told South Korean news agency, Yonhap, that the missiles on display were likely to be a new kind of long-range ‘intercontinental ballistic missile’. Perhaps the civilian conspiracy theories are more likely down to fear and wishful thinking in the current tumultuous climate between America, Russia and China than actual proof of fake missiles.